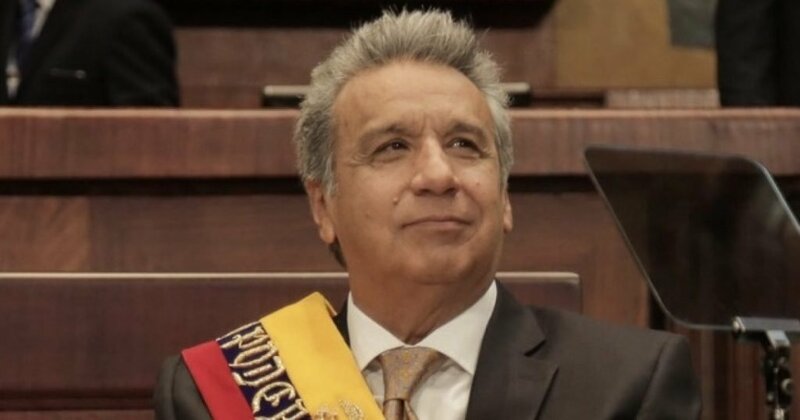 Lenín Moreno will be remembered as one of the most cowardly and disgraceful leaders in world history. With Moreno’s popularity cratering, Assange became an easy scapegoat for government officials unwilling to own up to their own corruption after their shame was exposed publicly. “What WikiLeaks and other political actors have done, to publish private photos of the President of the Republic, of his family, is a despicable, repugnant, and odious act,” Ecuador’s Vice President Otto Sonnenholzner said. Former Consul of Ecuador Fidel Navarez claimed there was no proof indicating that WikiLeaks was involved in publishing the leaks. “Not a single document referring to INAPAPERS, or the president’s family, has ever been leaked or published by WikiLeaks, let alone by Julian Assange, who for more than half a year has not been its editor and who has been isolated for one year under a regime quasi-prison by the government of Ecuador,” Navarez said. It is far more likely that the INA Papers were a convenient excuse to boot Assange to distract from the billions of dollars in globalist blood money pouring into Ecuador from the IMF. “If President Moreno wants to illegally terminate a refugee publisher’s asylum to cover up an offshore corruption scandal, history will not be kind,” WikiLeaks told the Associated Press. Moreno will certainly be remembered as one of our era’s greatest monsters, whose corrupt actions will have ramifications against digital freedom the world over.